Imogen's Typewriter. 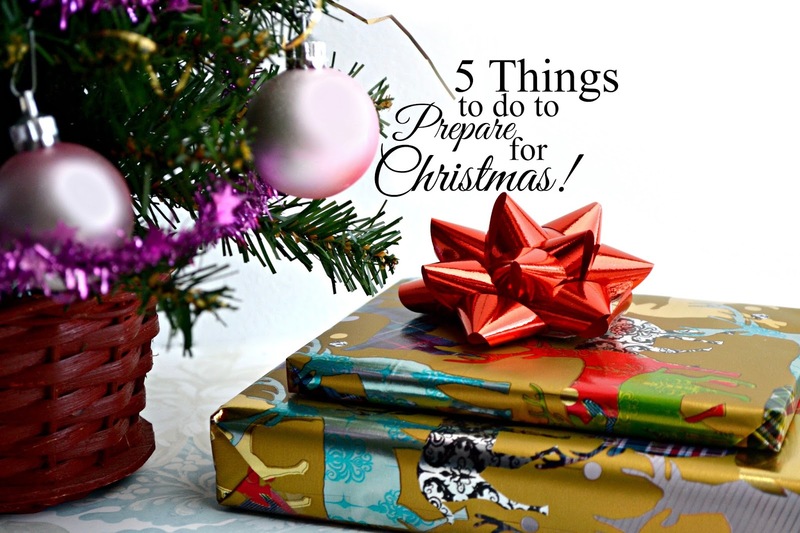 : 5 Things to do to Prepare for Christmas! Am I allowed to mention Christmas yet? Since there's only 37 days to do so I'm making an executive decision that I'm allowed to freak out! So to calm myself, and maybe some of you, down I thought I would list 5 Things we can do to prepare for the upcoming holiday to make it a little easier. 1. Make a gift list! There is one thing I know well about myself, and that is that if I go to gift shop without a definitive list of what I need to get, then I am coming back empty handed. So this year I have a pretty simple list in my phone of people I have to buy for, that I can add to as I think of things to get them. Then when I brave the shops- or more likely, the internet, I can get in and get out with less fuss. Plus! If you're like me and prefer to get people a few smaller things rather than one big thing then it's an easy way to check it all fits together. Tape? Scissors? Wrapping paper? Ribbon? Tags? Cards? Those last minute things that always slip your mind until last minute and then you have to struggle through the shops to find them. Okay, confession time. I have a mini-Christmas tree in my bathroom that stays up all year round. But if you're a little bit more normal/ less lazy then you probably don't have any decorations up yet. I like to have mine up as December starts so I can enjoy them all month, they really help me get in the spirit. 4. Check the invite list! My Christmas's are family occasions with people arriving and departing at different times. Beds are needed, furniture is moved, outings are planned, food is gone in the blink of an eye. By gosh, I'm tired just thinking about it. So this year I'm determined to know who is coming, when they're coming and how long they'll be staying in certainty. 5. Get or make your Advent Calendar! One of my favourite things as the holiday season approaches is my advent calendar. My mum actually makes mine which is a really sweet tradition and something I really appreciate. Plus, after not eating chocolate for the entire of November, I am really looking forward to that first taste.